Trying to get a straight answer out of Linden native and long-time professional musician Richard Bowden is not easy. The driving force behind Linden’s famous Music City Texas loves to tell stories and make people laugh. 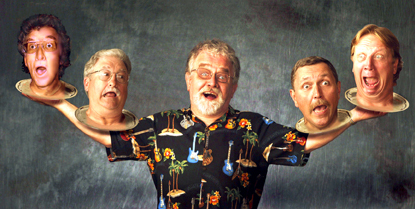 To Bowden, making people laugh is second only to making great music. Bowden grew up with The Eagles’ Don Henley. He toured with Kenny Rogers and Linda Ronstadt. He counts Jackson Browne as one of his friends. Bowden took time from his schedule to talk about his life in music, how he came to form a new band and the success of Music City Texas. News-Telegram: How long have you been performing? Richard Bowden: I believe my first musical type performance was being put on a platform at age 5 to direct the high school band during half time at one of Linden’s home football games. After that, I sang occasionally in the annual Lion’s Club variety show. In the seventh grade, I did an Elvis impersonation at the Lion’s Club show that brought the house down. The next Monday at school, I was treated like a “star” and that pretty much hooked me on performing. I’m 64 now, so that makes it 59 years if you count the football game. On the national level, I’ve performed since 1970. N-T: How did you get your start in the music business? RB: Jumper cables! No, seriously, I started out joining jam sessions at home with my dad and his cronies. Then we started playing at rodeos and various local events where we’d pass the hat for money. Eventually we phased out the older gentlemen as I added friends like Don Henley to the band and we started to get paying gigs. As we got better, so did the pay. Once we were on top of the pile of popular Texas bands, we met Kenny Rogers, who took us under his wing and got us a record deal. In California, we had to stage a breakup to get out of a bad management deal and that led to Henley, my cousin Mike Bowden and me getting a gig with Linda Ronstadt. Glenn Frey was also hired for her band. After about a year, Don and Glenn left to start the Eagles. Mike and I stayed with Linda for a couple more years. After that, I got gigs with Roger McGuinn, lead singer for the Byrds, Dan Fogelberg, Johnny Rivers and the Burrito Brothers. moved to Nashville to write songs and, instead, started the comedy team of Pinkard & Bowden. (Pinkard & Bowden are famous for their parodies of country songs like “She Thinks I Still Care [She Thinks I Steal Cars] and “Mama, He’s Crazy [Mama, She’s Lazy]), We had a really good run for 16 years. N-T: You toured for a long time with Linda Ronstadt. What was that like? RB: Linda is an amazing singer, and still one of the best in my book. We became good friends and were seat buddies on most of the flights (We didn’t do the tour bus thing back then). Beside playing guitar for her, I sang background vocals with her, so I got to learn about singing techniques, phrasing and such from the best. She also featured me in her show with a couple of comedy tunes I had written. That gave me the confidence to later go on to have a successful career with Pinkard & Bowden. N-T: Tell me about Moon and the Starz? RB: I actually had the concept for Moon & the Starz shortly before I retired Pinkard & Bowden and moved back to Linden from Nashville. Greg “Moon” Attaway, also a Linden native, had been with me in Roger McGuinn’s band in California in the 1970s. He was back in Linden and playing in a band that performed in the annual Lion’s show I mentioned. John Early, who has headed up the Bluegrass band Hickory Hill for 30 years, was also in the Lion’s Club show band. Pat Roberson joined us. We got a keyboardist, Mark Vidito, who had moved from Los Angeles to Waxahachie, and eventually became a permanent member. I must say that Moon & the Starz is one of the best outfits I’ve been associated with, as everyone in the band is a great singer and songwriter and instrumentalist. We do get as much mileage out of my comedy tunes as we can, but we also have a great repertoire of legitimate tunes, ranging from country and rhythm and blues, to classic rock and gospel. Everyone in the band gets featured on stage, so you get a little bit of everything at one of our shows. N-T: Who are some of the artists working today that you admire? RB: I admire groups like the Rolling Stones, the Eagles, the Bellamy Brothers — mostly for their longevity and being able to keep up with the times throughout their careers. Of course, one of my old friends, Jackson Browne, has been able to remain a viable force in music throughout the years. He just did his second benefit appearance in Linden in December. His donation will enable us to stay open a while longer. N-T: When did you move home? RB: I left Nashville to return home to Linden at the end of 1998. I mainly came back to be near and assist my mother for the last years of her life. The non-profit organization, Music City Texas Inc., had already been formed and its mission was to establish a concert venue in Linden to boost tourism. I joined up with them and shortly was appointed chairman of the board. N-T: What made you decide to form Music City Texas theater? RB: When the efforts failed by Music City Texas, Inc. to build an amphitheater in Linden’s newly developing city park, we had to go to plan B. Not having one, we decided to try a Lumberjack Festival, ending with a musical concert, for a couple of years, but never got the big corporate lumber companies’ support. The third year we canceled it, as it was scheduled to be the weekend of the 9/11 tragedy. We found out the old American Legion Hall could be leased from the city, so we leased it for 10 years, deciding that it would be a great concert venue. N-T: Talk about the restoration of the old building. RB: With seed money from our local Lion’s Club, we rolled up our sleeves, and, with the help of many volunteers from town, we began the restoration. Local artist Brad Attaway was put in charge of design. Tearing out the flat sheetrock ceiling, we discovered these beautiful, hand-made arched truss wooden beams. Leaving them exposed improved the acoustics in the building by about 90 percent. We reused lumber from the ceiling demolition to build these cool wall columns and light sconces that Brad designed. These changes gave the space a theater look. We’ve since added new restrooms trimmed out with recycled lumber from the high school’s old gym bleachers. It is still a labor of love and a work in progress. N-T: What do you hope your audiences take away from a Moon and the Starz show? RB: Several thousand dollars worth of our T-Shirts and CDs. No, really, I want them to leave feeling that this was the most they’ve been musically entertained and laughed in a long time. I want them to take with them the desire to have us back. But mostly, I recommend that they take home the same woman they came with – poor Tiger. at Crossroads Music Company - 216 North Main Street - Winnsboro. Tickets are $20 for reserved seating, $15 in advance and $18 at the door. Doors open at 7 p.m. Music begins at 7:30 p.m.
Poor David's Pub continues to be a venue I love. In just a few short weeks, I've had the pleasure of seeing Jimmy LaFave, David Bromberg and Moon & the Starz give terrific shows there. On Thursday night, Poor David's is bringing in the incomparable John Gorka. For more information about Gorka's show and Poor David's in general, click here. Last Saturday night brought to Poor David's Lamar Street location Moon & the Starz, whose five-band piece is made up of ace keyboardist Mark Vidito (who lives in Dallas) and four characters from Linden, Texas, where Moon's home court, so to speak, is the state's best live music venue, the 420-seat Music City Texas Theater. For the second time in its short history, Music City Texas is hosting Jackson Browne on Thursday night. But regulars of MCT get to hear Moon & the Starz all the time, which is no small privilege. This Piney Woods quintet is headed up by lead guitarist Richard Bowden, who once manned that position for Linda Ronstadt and Dan Fogelberg. He is also hilariously funny. One example: The show started at 8 p.m., but one contingent trooped in around 8:25. "Oh, some other folks have decided to join us," Bowden said. "So happy to see you. Can we get you anything? Like a friggin' watch!?" Moon & the Starz played a first set of songs that were wickedly, politically incorrect. Can't even print some of the titles. But they were funny. The beauty of their act is that it's evenly divided between stand-up comedy and country rock. During the second set, they played bassist Pat Roberson's terrific "Reynosa Rose," electric and acoustic guitarist John Early's sublime "Songs About Texas" (sung by gifted vocalist and drummer Greg Attaway) and Bowden's masterpiece "Please Come to New Boston," which was easily the evening's highlight. That is one terrific song. "What's That Thing (on Aaron Neville's Head)?" was also really, really good, and funny, and the band even did a marvelous cover of "Hotel California" as a tribute to Bowden's boyhood chum and fellow Lindenite Don Henley of the Eagles. One great night. For those interested in learning more about Moon & the Starz, click here. For anyone who wants to see them, they are also accessible on on YouTube. I was too sick. I am better and I will have them back. Glad I made it for a fun night of entertainment. Can't get much better than great original music played with talent and enthusiasm and a lot of laughs sprinkled in. Richard Bowden with Moon & the Starz were a hoot that night! At 64, Richard Bowden has lived an extraordinary life. He grew up in Linden, in the Piney Woods of deep East Texas, as the boyhood chum of Don Henley, whom Bowden persuaded to join the school band. Bowden and Henley later formed their own bands, the Four Speeds, Felicity and Shiloh. After they graduated from North Texas State and moved to LA, Henley joined a new band – the Eagles – and Bowden hung around for years as Linda Ronstadt's lead guitarist. 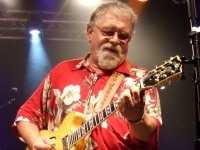 He moved to Nashville in 1982 and became half of the wacky C&W parody band, Pinkard & Bowden. He returned to Linden in 1998 and five years later founded Music City Texas Theater, a 420-seat venue in a town of 2,256, where on Dec. 3 Jackson Browne will make his second sold-out appearance. "It's above and beyond the call of duty," Bowden says of Browne, his long-time friend and Rock and Roll Hall of Fame inductee who's appearing free in Linden for the second time since 2004. "I love the guy." Soon after his return to Texas, Bowden formed a five-piece band, Moon & the Starz, which will make its first Dallas appearance at Poor David's Pub on Saturday. If you're looking for a laugh, Moon & the Starz could be the medicine. "We'll probably play 'Trailer Park Woman,' 'What's That Thing (on Aaron Neville's Head? ),' 'I Lobster but Never Flounder' and 'Help Me Make It Through the Yard,' " Bowden says from the road, somewhere between Linden and Texarkana. "Oh, and I almost forgot: We'll also do 'She Thinks I Steal Cars.' "
The highlight of the evening, of course, will be the Bowden masterpiece, "Please Come to New Boston," a parody of the 1974 Dave Loggins ballad, "Please Come to Boston," and a paean to New Boston, a Linden neighbor just a few whiskers north of Bowden's favorite catfish joint. A select few of Bowden's lyrics and titles won't ever be published in a family newspaper, which is not to say they won't make you laugh. Those hoping for audacity from Moon & the Starz won't be disappointed. "Depending on what I select," Bowden says, in his deep-as-a-toad Caddo Lake drawl, "well, sometimes, their mouths drop open. For the most part, when we do the comedy stuff, it evokes plenty of laughter. As talented as the band is, though, I try not to hog the entire show." Drummer Greg Attaway is a gifted singer, who does a great cover of "When a Man Loves a Woman." Bassist Pat Roberson wrote the terrific "Reynosa Rose" and John Early, who doubles on electric and acoustic guitars, moonlights with the bluegrass band Hickory Hill. Rounding out the ensemble is the group's keyboardist, Mark Vidito. Bowden has fond memories of Dallas. He and Henley and the other members of Felicity were buying bell-bottom pants in a shop on McKinney Avenue in 1968 when they bumped into fellow customer Kenny Rogers. The chance meeting led to a record deal and the move west, where their careers took a sharp turn upward. Bowden's LA migration allowed him to meet Browne who, like Henley, is serious, idealistic and a longtime champion of social causes. Not that Bowden isn't. He's just an incurable court jester. Part of his own rock legend occurred during his years with Ronstadt, when he showed up in a hotel lobby wearing only a face full of shaving cream. "I think it's because of my relentless sense of humor," he says of remaining friends with Browne and Henley. "I say stuff nobody else can say and get away with it. I think they like that. Is levity the word I'm looking for?" Plan your life 8 p.m. Saturday at Poor David's Pub, 1313 S. Lamar. $10. First 50 customers will receive a free copy of the band's CD, Rising Over Texas. All others can buy it that night for $5. PALESTINE, TX – The Academy of Texas Music, Inc. has released the list of official nominees for the 7th annual Texas Music AwardsTM to be held on Sunday, April 26th at the Palestine Civic Center in Palestine. 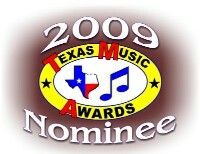 Richard Bowden with Moon & the Starz has been nominated in two categories for their performance on the 2008 release “Rising Over Texas”, Vocal Duo or Group of the Year and Song of the Year for Richard Bowden’s included title “All For The Price Of One Love”. 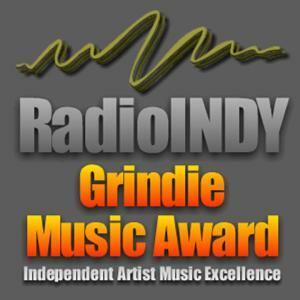 RadioIndy is pleased to present Richard Bowden with Moon & the Starz with GrIndie Award for the CD "Rising Over Texas"
"Richard Bowden with Moon & the Starz" Reviewed by RadioIndy.com! There’s something rising over the Lone Star state and it sounds pretty good—as natural and smooth as a straight-ahead country-rock tune whistled under midsummer stars. 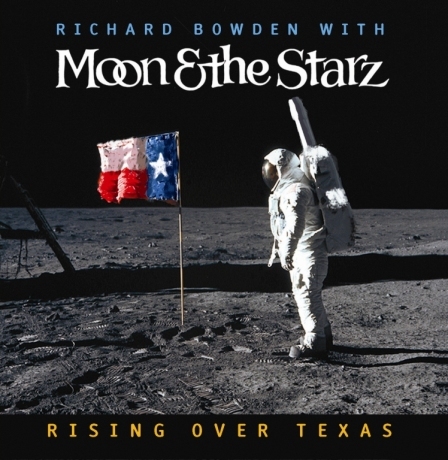 And, in fact, recording “Rising Over Texas” in the studio was something of an extension of the monthly live shows performed by Richard Bowden with Moon & the Starz at the Music City Texas Theater in Linden, says frontman Bowden. The band, which also consists of John Early, Pat Roberson, Mark Vidito and Greg Attaway, recently released the 11-track CD, now available at their live gigs and at MyTexasMusic.com. The band has been around since 1999, but this is their first album in this configuration of musicians. 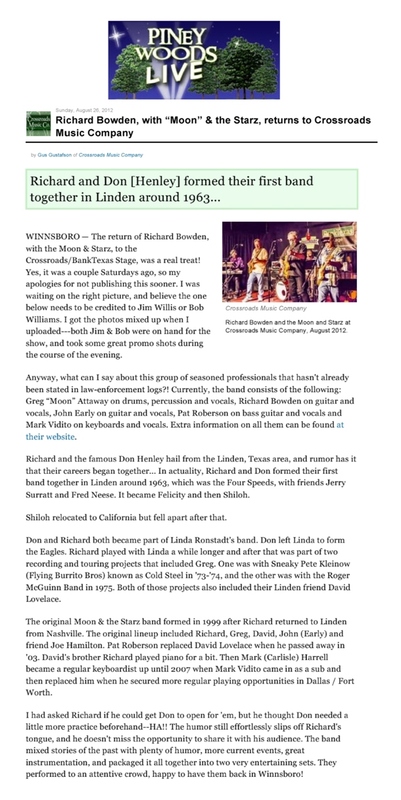 “It’s sort of a country rock, R&B, gospel comedy,” said Bowden about the sound they were aiming for. The CD is not without the comedic touch for which Bowden is known. “Please Come to New Boston” will be a highlight for local listeners there. Bowden says their monthly shows mix the comedy with more serious songs. And the music here on “Rising Over Texas” has almost all been performed over the past two or three years. “It was virtually cut live, so to speak,” he said about the recording process at Robin Hood Studios in Tyler, Texas, a place where he says he and Don Henley first recorded a 45 rpm record decades ago. “For me it was pretty much like coming full circle,” said Bowden. Moon & the Starz's Rising Over Texas has much more going for it than laughs. Granted, you will no doubt chuckle at "What's That Thing (on Aaron Neville's head)?" But the rest of the album is serious music. Mr. Bowden's "All for the Price of One Love" is a fine ballad, and there's a pair of terrific gospel songs, "Jesus Would Have Loved to Rock 'n' Roll" and "The Rock," co-written by guitarist John Early, who moonlights in one of the state's most sought-after bluegrass bands, Hickory Hill. I also recommend Mr. Early's "Songs About Texas," which Mr. Bowden contends "should be the state song of Texas," and bass player Pat Roberson's South-of-the-border-flavored "Reynosa Rose." Keyboard player Mark Vidito and drummer Greg Attaway, who's also quite a singer, add their own unique talents to the mix. For those interested in buying the CD, it's available for $15 at Music City Texas Theater but you can get it for the discounted price of $13.99 at www.mytexasmusic.com. For a preview of the album, you can troll to the Moon & the Starz MySpace page. Blessed be the record these days that can make you laugh. We could all use a bit of that, could we not? I could name drop for several pages about all the megastars that have been graced by the talents of the members of this band. 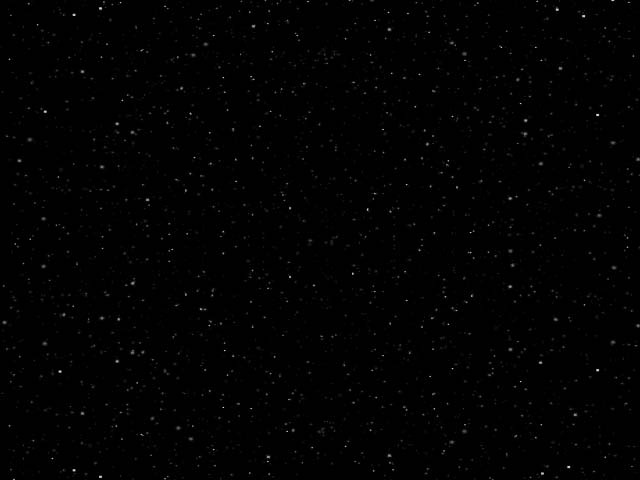 Name a big star from the Seventies and they’ve crossed paths with Moon and the Starz. Greg Attaway is ‘Moon’ and each member is truly a star. Band leader Richard Bowden has assembled one of the best bands to take the stage in decades. There is absolutely no reason on earth why Greg Attaway shouldn’t have been one of those megastars. One listen at “I Can’t Stop Loving You” and you’ll be hooked. His voice is a million dollar asset and life’s path brought him here, to drum and sing with the newest thing in seasoned veteran music. On this record, you’ll hear a couple of songs written by Richard Bowden ranging from the hilarious to the hit-worthy “All For The Price Of One Love.” John Early writes a few, Attaway writes a few, and there’s an adaptation of a Dave Loggins tune that you don’t want to miss. These guys all played and hung out with some of the biggest names in the business including bands that featured a lot of vocal work. It’s no surprise that MATS would feature a lot of vocal work on this album, and they do. The harmonies are excellent and tasteful. Bowden is the king of B-bending and plays guitar licks only dreamed of by most pickers. Pat Roberson sings his composition, “Reynosa Rose,” which is a south-of-the-border highlight of the disc. Mark Vidito chimes in on vocals and supplies excellent keyboard work for the album. Not an inch of talent goes to waste on this release as each member of the band is utilized to their fullest. A favorite with comedy fans, country fans, rock fans, and gospel fans, this band is featured each first Saturday at the Music City Texas Theater in Linden, Texas. Catch a show when you can, but for now, get the disc and find out why Linda Ronstadt is going to be so ticked off. I love these guys. You will, too.